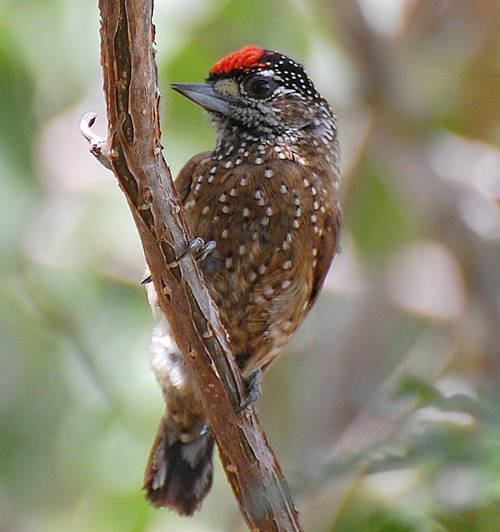 Serra dos Tucanos Birding Tours. We can put together private tours if required, please contact us for further details. 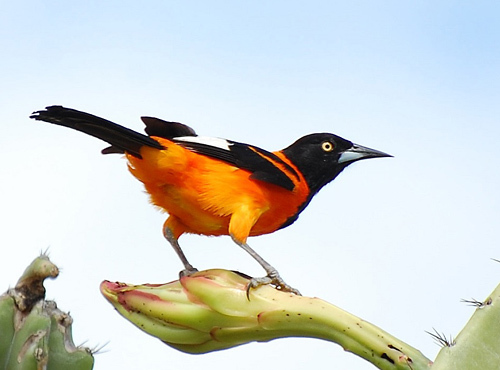 A birding tour to north-east Brazil is a must for any birder wishing to see a serious number of endemics! The itinerary below was put together to incorporate a habitat known as caatinga and the Atlantic Forest. 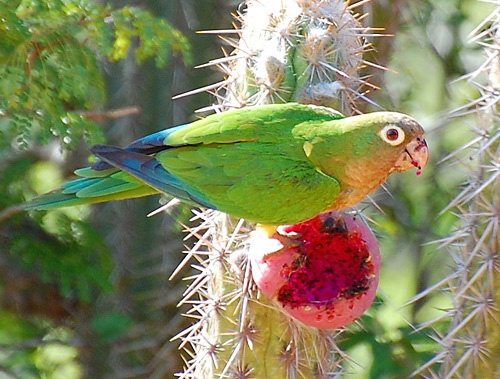 The caatinga habitat is endemic to Brazil and offers some truly spectacular birding. This together with the north-east Atlantic Forest provides us with an amazing 15 day trip birding some of the most threatened habitats remaining in the world. There are many highlights on this trip including Araripe Manakin, Lear’s Macaw, Scarlet-throated Tanager, Caatinga Antwren, White-browed Guan, Gray-bellied Parakeet and Caatinga Parakeet amongst many others! We will be covering some large distances in this trip but with many scheduled and unscheduled (!) stops no doubt to see an amazing diversity of species. Our trip begins upon arrival at the airport of Fortaleza. We will then take a 65 mile drive to the mountain range of Baturité and check in to our accommodation. We will start birding and start looking for birds such as White-browed Guan, Caatinga Gnateater, Grey-breasted Parakeet, Gould’s Toucanet, Ochraceous Piculet, Buff-breasted Tody-Tyrant, Rufous-breasted Leaftosser, Ceara Gnateater, Moustached Woodcreeper, Spot-winged Wood-Quail, Slender-footed Tyrannulet, and Short-tailed Antthrush. Other more common birds we hope to see include Wing-banded Hornero, Gray-headed Spinetail, Blond-crested Woodpecker (this is potentially a future split), Little Woodpecker, Band-tailed Manakin, Pectoral Sparrow, Ruby-Topaz Hummingbird, Squirrel Cuckoo, Straight-billed Woodcreeper, Lesser Woodcreeper, Sooty-fronted Spinetail, Ochre-cheeked Spinetail, White-throated Spadebill, Black-tailed Flycatcher, Planalto Hermit and Reddish Hermit. We will complete our first checklist of the trip followed by dinner. Overnight at the Alto da Serra Lodge. After an early breakfast we will dedicate the day to finding as many of the above species as possible. Baturité is a lovely location, with a very well preserved forest and due to its altitude it has a very nice cool climate, this combined with superb birds makes a perfect combination for the first full days birding. We will make a stop for lunch and have a break, before we start our afternoons birding, looking for possible missing birds and staying long enough to do some owling, hopefully seeing Spectacled Owl. We will return to the lodge for dinner and our daily checklist. After an early breakfast we will check out and drive to the town of Crato some 270 miles away. We will have a few stops along the way looking for birds such as Southen Pochard, Red-Cowled Cardinal, Wing-banded Hornero, Spotted Puffbird, White-napped Jay, Red-legged Seriema, Turkey and Lesser Yellow-headed Vultures, Snail Kite, Savanna Hawk, Wattled Jacana, Southern Lapwing, White-faced and Black-bellied Whistling Ducks, Brazilian Teal and Masked Water-Tyrant. 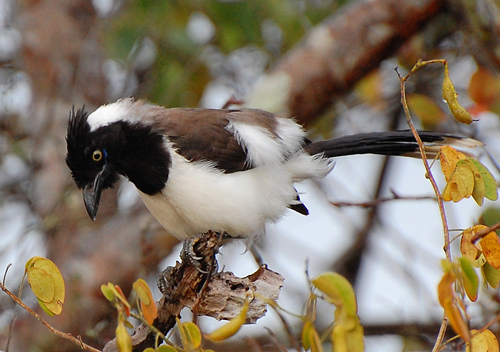 We will check into our Hotel which is adjacent to the Araripe National Forest with easy access to best birding areas! Overnight Encosta da Serra Hotel. After another early breakfast we will begin birding around the Caatinga vegetation searching for endemics such as Caatinga Parakeet, White-browed Guan, Tawny Piculet, Red-shouldered Spinetail, Great Xenops, Silvery-cheeked Antshrike, Caatinga Antshrike, Caatinga Antwren, White-browed Antpitta, Stripe-backed Antbird, Ash-throated Casiornis, White-naped Jay, Araripe Manakin, Pale-bellied Tyrant-Manakin, Grey-eyed Greenlet and White-throated Seedeater. By 9:00 am we will drive to the ARARIPE MANAKIN area. We shall spend the rest of the morning here. After lunch we will have a short break and then return to look for any missing species and also trying to get better views of species we may have already seen during the morning. At the end of the day we will have some time to look for some night birds such as Pauraques and the Gray Potoo. Return to the Hotel in Crato. After breakfast we will check out and drive approximately 230 miles to Canudos and/or Euclides da Cunha. Of course, we won´t hesitate in making stops every time we get birds to watch! We expect to arrive in time for some birding and owling, one of our targets here is the magnificent Scissor-tailed Nightjar! Overnight at the Biological Station or Hotel Brazil. After breakfast our priority this morning will be the Lear´s Macaws! We will try to watch these fabulous birds and get some great views! 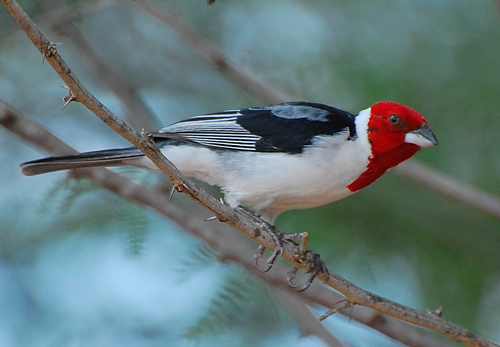 Canudos will offer some other special birds too such as the Scarlet-Throated Tanager, which has only one relative in South America which is located in the Andes! Other possibilities today include Blue-winged Macaw, Red-legged Seriema, Caatinga Parakeet, Broad-tipped Hermit, Ruby Topaz, Stripe-breasted Starthroat, Red-shouldered Spinetail, Caatinga Cachalote, Pectoral Antwren, White-naped Jay and Black-chested Buzzard Eagle. We will check out after breakfast and transfer to the town of Estancia, some 200 miles away. 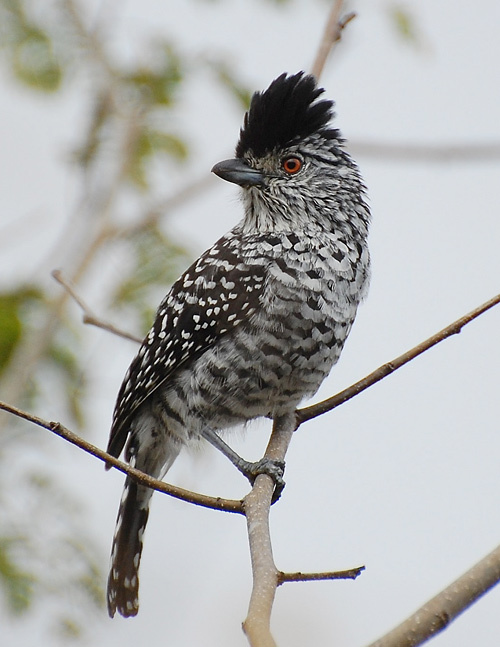 For this morning’s drive we will be using a special route that shall produce more Lear´s Macaws and also the very rare Pectoral Antwren. We should arrive in time for some birding hoping to see the very rare Fringed-backed Fire-eye. We shall do some night birding looking for the Rufous Nightjar, which has a funny call! Overnight at the Freedom Hotel. Today is quite a long travel day but we will have some time for some early morning birding at Estancia with chances of Red-shouldered Macaw, Orange-winged Parrot, Golden-capped Parakeet and Sooretama Slaty Antshrike. We will drive to Lençois some 340 miles away with some birding and lunch en-route. We will arrive by the end of the day, have dinner and have a good nights rest ready for a full day of birding tomorrow. Overnight at the Hotel de Lencois. After an early breakfast we will have a full days birding in the most scenic place of the entire trip! Traget birds for today include Great Xenops, Sincora Antwren, Silvery-cheeked Antbird, Sao Francisco Sparrow, Hooded Visorbearer, Buff-throated Pampa-Finch, South American Snipe, Grey-backed Tachuri, Buff-throated Pampa-Finch, Collared Crescentchest, White-eared Puffbird, Plain-crested and Highland Elaenias, White-vented Violetear, Violet-capped Woodnymph, Versicoloured Emerald, Chicli (Spix´s) Spinetail, Cinnamon Tanager, Rufous-winged Antshrike, Blue-Finch, Spotted Piculet and Biscutate Swift. Lencois also has a very nice Forest Patch, we will look here for birds such as Streaked Xenops, Yellow Tyrannulet, Greenish Elaenia, Black-tailed Tityra, Green-winged Saltator and Hooded Siskin. After breakfast we will check out of our accommodation and take a 250 miles drive to our next location, Boa Nova. We will have time for some birding along the way and we will also be stopping for some lunch. 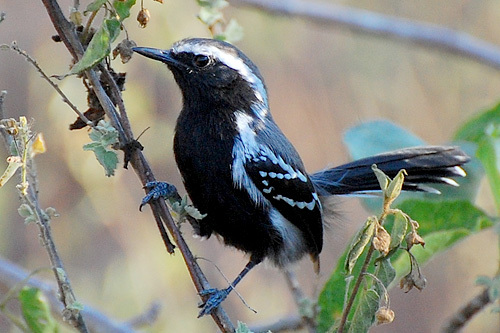 We will arrive in time to watch the most important bird of this area, the Slender Antbird. Boa Nova is strategically located behind a mountain range that holds all the moisture coming from the Ocean, therefore around the village we will find the Caatinga, combined with the “Mata do Cipó” (vine forest, it really deserves this name and has to be seen to be believed)! This vine forest is home to the Slender Antbird, Narrow-billed Antwren, Stripe-backed Antbird, Silvery-cheeked Antshrike, Buff-breasted Tody-Tyrant, Ruby-Topaz Hummingbird and a day time roost (!) for the Pygmy Nightjar! Overnight at the Pousada dos Passaros. After an early breakfast we will have a full days birding at Boa Nova looking for Atlantic forest specialities such as Rio de Janeiro Antbird, Spot-backed Antbird, White-bibbed Antbird, Spot-breasted Antvireo, Fork-tailed Tody-Tyrant, Drab-breasted Bamboo-Tyrant, Ochre-faced Tody-Flycatcher, Striated Softtail, Bahia Tyrannulet, Bahia Spinetail, White-eyed Foliage-gleaner, White-collared Foliage Gleaner, Ochre-breasted Foliage-gleaner, Cinnamon-vented Piha, Frilled Coquette, Buff-throated Purpletuft, Crescent-chested Puffbird, Yellow-eared Woodpecker, Pallid Spinetail, Striated Softtail, Yellow-lored Tody-Flycatcher, Oustalet’s Tyrannulet, Gilt-edged Tanager, Reddish-bellied Parakeet, Scale-throated Hermit, Sapphire-spangled Emerald, Black-eared Fairy, Black-throated Trogon, Swallow-winged Puffbird, Black-necked Aracari, Yellow-throated Woodpecker, Plain-winged, White-throated, Planalto and Scaled Woodcreepers, Black-billed Scythebill, Sharp-tailed Streamcreeper, Sharpbill, Swallow-tailed Manakin, Hang-nest Tody-Tyrant, Greenish Mourner, Chestnut-crowned Becard, White-necked and Cocoa Thrushes, White-browed Warbler, Red-crowned Ant-Tanager, Black-goggled and Golden-chevroned Tanagers, Rufous-sided Crake, Blackish Rail, Campo Flicker, Pale-legged Hornero, Yellow-browed Tyrant, Brown-chested Martin, White-bellied Seedeater, Least Pygmy-Owl. 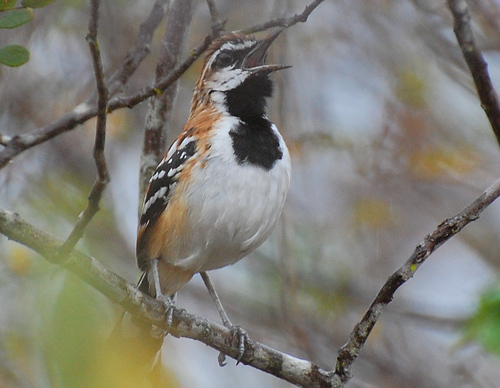 At the end of the day we will look for the “cherry on the top of the cake”, the Giant Snipe. Another early breakfast followed by another full day birding at Boa Nova. Birding here is so incredibly good that it justifies another full day! Based on the previous day, our targets will be the missing birds, either at the humid forest or at the vine forest and if necessary we will bird both places. We will stop for lunch and a short break around midday. After breakfast we will check out and take a drive of approximately 190 miles to Serra Bonita (Camacan). We will be birding at an altitude of around 950 m. We are here for a very good reason, to hopefully see the recently discovered Pink-legged Gravateiro! 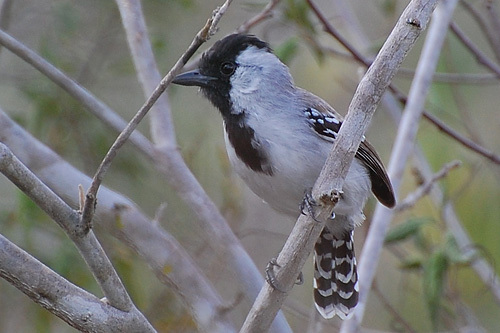 There will be many other birds here and we also hope to see Buffy-fronted Seedeater, Temminck’s Seedeater, Sooty Grassquit, Drab-breasted Bamboo-Tyrant, Plumbeous Antvireo, Spot-breasted Antvireo, Salvadori’s Antwren, Star-throated Antwren, Spot-backed Antshrike, White-wedged Piculet, White-eyed Foliage-Gleaner, Crescent-chested Puffbird, Lemon-chested Greenlet and with some luck we may also get Bahia Tyrannulet and Rufous-brown Solitaire. Raptors can be good here and we hope to see Mantled Hawk, Black Hawk-Eagle, Black-and-white Hawk-Eagle and King Vulture. On a past trip we were the very first ones to record Harpy Eagle here – amazing! We shall arrive at the village of Camacan by lunch time. After lunch we will drive to a parking spot in the forest where we will be transferred to 4×4 vehicles that will take us to our lodge. After check-in, we will start birding. Overnight at the Serra Bonita Lodge. After breakfast we will spend the morning birding at Serra Bonita looking for species as mentioned above. After lunch we will be birding at the feeders of the lodge. 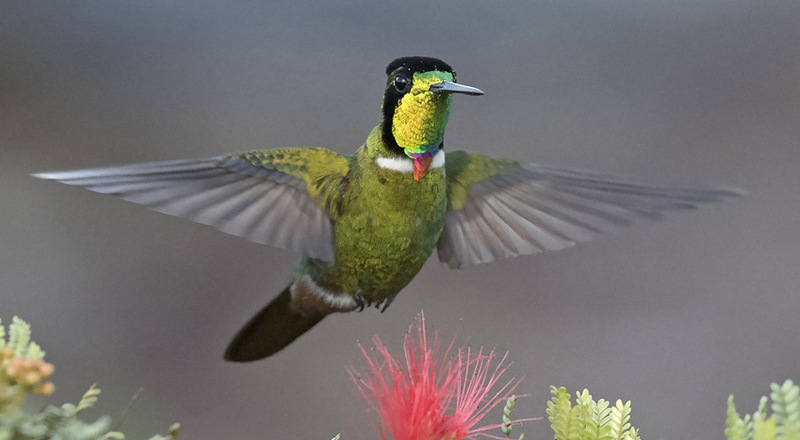 We shall have a great time watching birds in close up and this is also a great opportunity for photography. These feeders are qreat for attracting species such as Sombre Hummingbird, Scale-throated Hermit, Black Jacobin, Brazilian Ruby, Green-headed Tanager, Red-necked Tanager, Brazilian Tanager, Azure-shouldered Tanager, Green Honeycreeper, Spot-billed Toucanet and Maroon-bellied Parakeet – Lots of them!!! After breakfast we will check out of our accommodation and transfer to the airport in Ilheus and fly to Salvador or other connections for your flight home.